This cute playsuit is screaming vacay vibes girl. Featuring a blue material with a contrasting red embroidered detail and an elasticated neck and waist line. 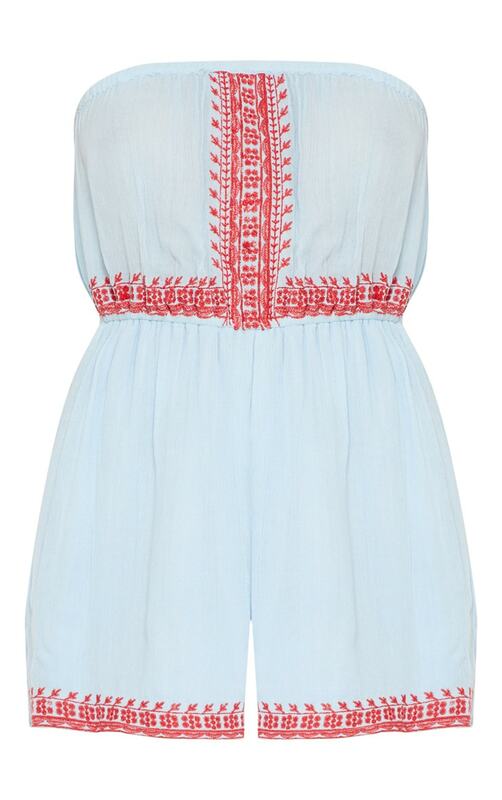 Style this playsuit with slip-on sandals and your fave sunnies for a look we are loving.